Locate the two speakers on the midplane chassis. 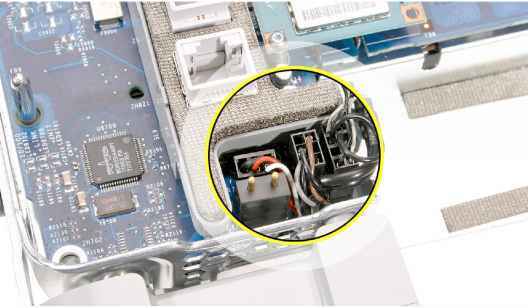 From the top of the logic board at the bottom of the port bank, use a needlenose pliers to disconnect the three cable connectors: fan, microphone, and speaker. 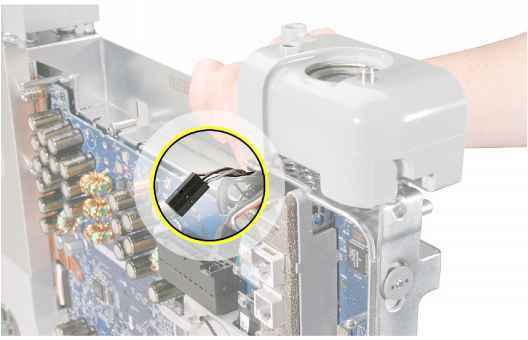 Holding the midplane vertically, locate the narrowest (fan) connector. 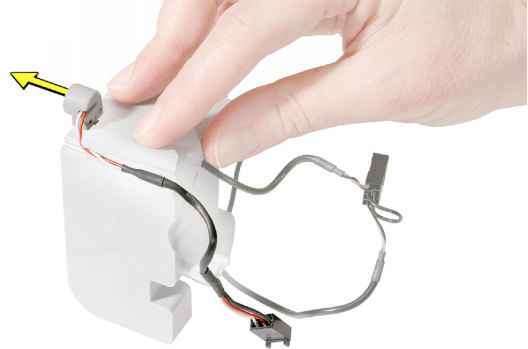 Holding the other cables aside, route the fan cable and connector through the opening in the midplane chassis. 5. Route the narrower microphone cable connector through the opening in the midplane chassis. Note: The images below show both sides of the midplane chassis. Important: The microphone connector has two pegs. 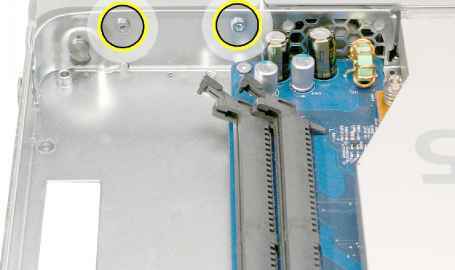 To enable routing, position the connector so the two pegs point toward the logic board, and the flat side of the connector is positioned away from the logic board. Route the widest speaker cable connector through the midplane chassis opening. 7. 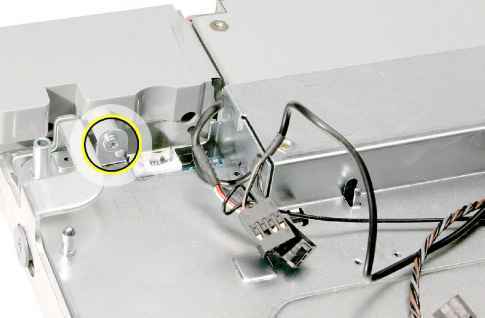 Place the midplane flat on the table and note the single screw securing the speaker to the midplane. 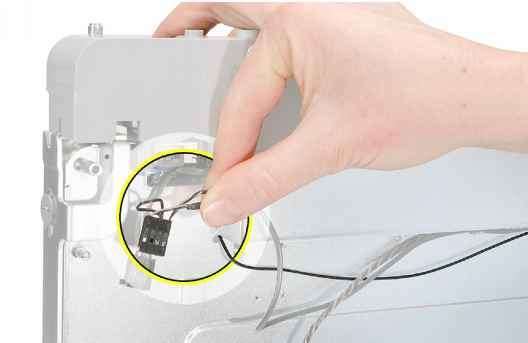 Remove the screw from the speaker. 8. 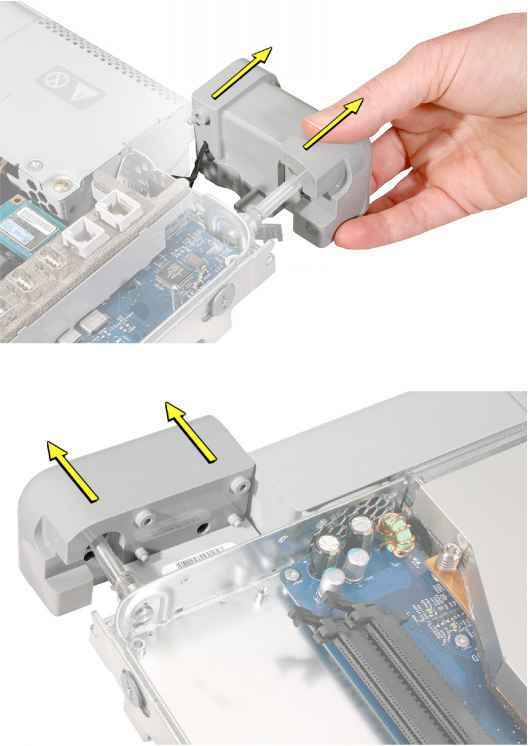 Without straining the speaker or fan cable, use a flat-blade screwdriver to carefully lift up the cables from the three cable guides on the underside of the midplane chassis. Caution: Use the flat-blade screwdriver to open the cable guides only enough to slide out the cables. Do not over-extend the cable guides. 9. 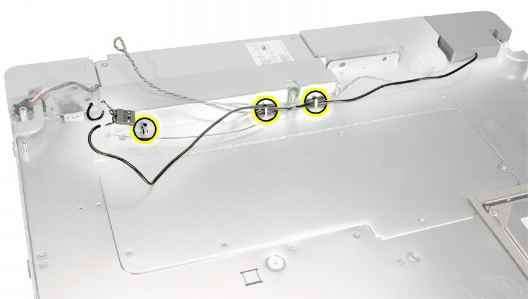 Turn over the computer chassis and note the location of the remaining speaker screws. Remove the three screws. 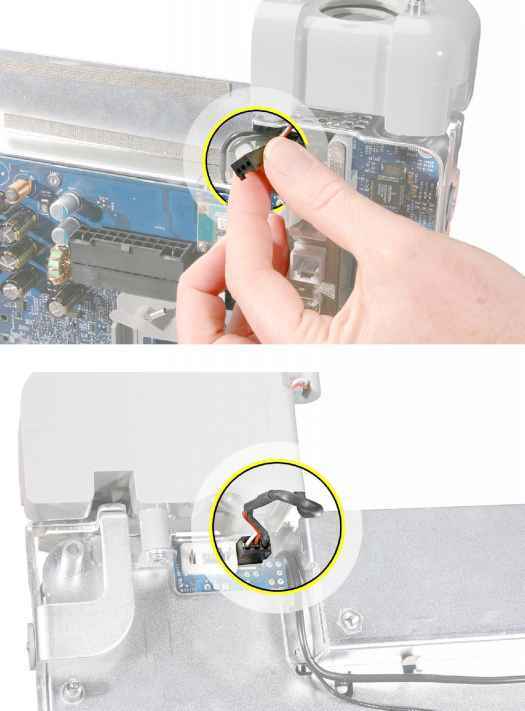 Caution: To remove the screw located nearest the ports, lean the screwdriver on the port bank as you remove the screw. Be careful not to strip the screw. 10. Lift the speakers off of the chassis standoffs. 11. Replacement Note: If you are replacing the speaker set, remove the microphone cable from the speaker and transfer it to the new speaker set. 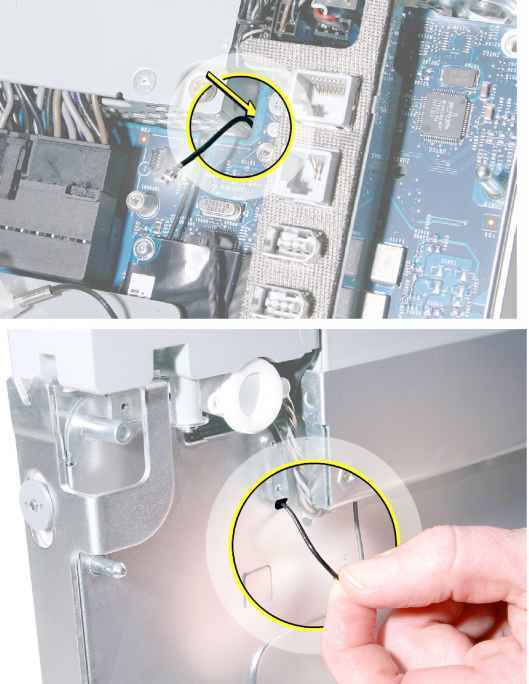 How to use needle nose pliers to disconnect cable connector?